A 21st birthday is memorable for many reasons. 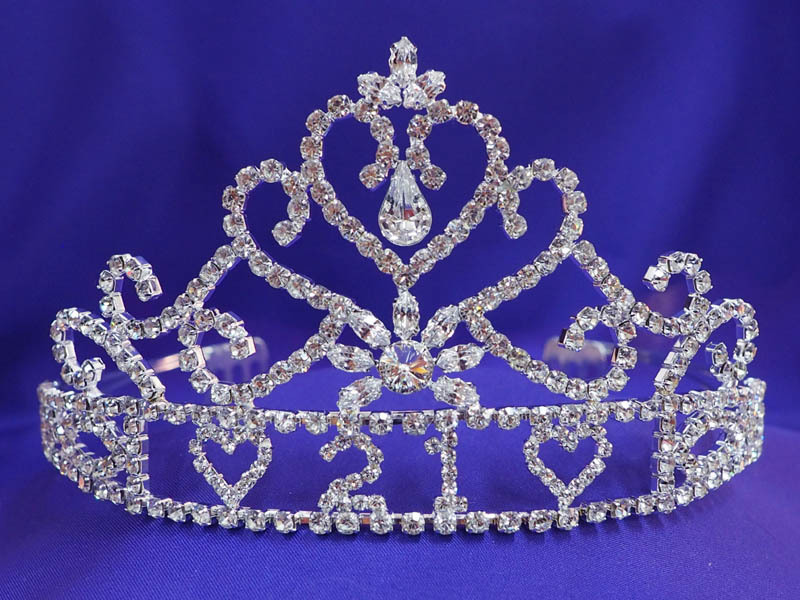 This tiara can make a 21st birthday memorable without causing a terrible hangover the next day! It features a huge crystal teardrop centerpiece inside a rhinestone heart above a stunning crystal starburst.